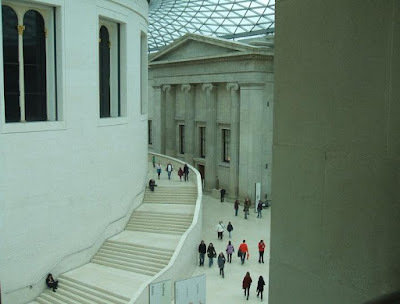 In 2011, I travelled to the British Museum in London for a motion capture session with Goldsmiths University to learn more about the process of it. I wrote an article about the experience and posted it on Guns and Grapple, but now that The Sudden Stop is live, I thought it was time to revisit the article and fit it into the Alan Wake universe rather than Lara's. Since it was a session, of course everything couldn't be condensed into a couple of hours. After the original article went live, I received an email from the lovely organiser, Shelley Mannion, saying that the team at the museum spent about 10 hours before the session setting up the sensors and the technology to make everything work since it's quite precise. 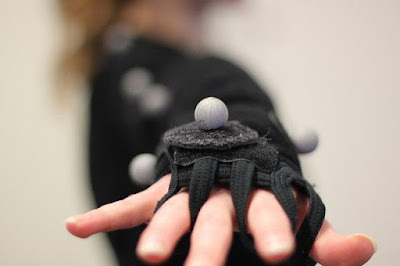 Motion capture is recording the actions of someone using sensors. The actors are put into an outfit with several retroreflective markers which bounce infer red light which is then picked up by a series of cameras placed around the area. The cameras then send the information to the computer which then makes a 3D image of the person move. Believe me, seeing the 3D image move practically at the same time as I did was incredibly strange. It actually reminded me of the scene from Room 1408 where Mike Enslin looks through the window to see someone in the building opposite coping his moves. This honestly has to be the best photo ever taken of me. 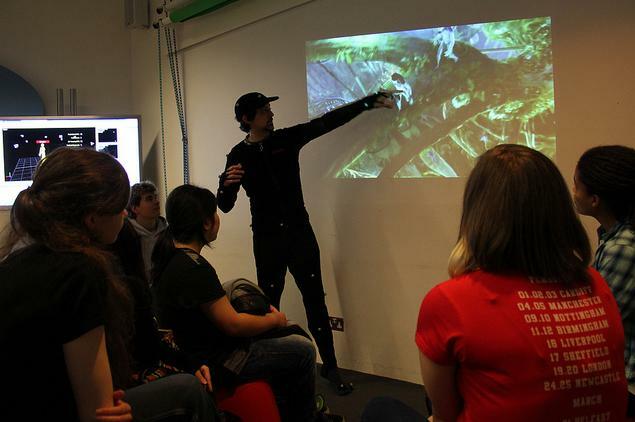 The museum often arranges tours, sessions or events featuring a variety of projects ranging from fashion to technology, a group of around 15 people are able to attend and participate and more often than not they're quite practical hands-on subjects. The session in total lasted two hours, with about 15-20 minutes in the mocap suit. Even though this wasn't an extensive full look into motion capture it did give me a little taster about the mechanics behind it. 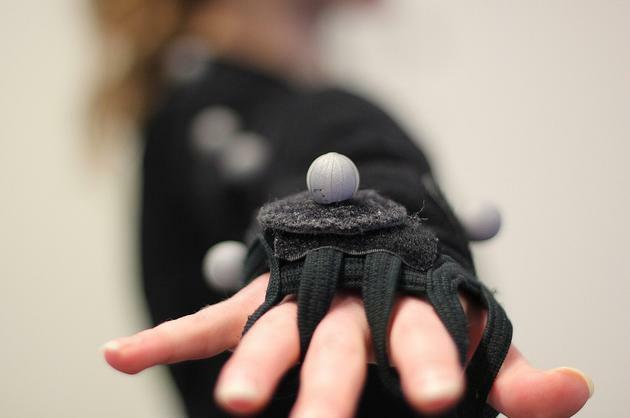 I became interested in motion capture when I saw how it was being games for added realism. I arrived there forty minutes early at around 10am with my friend and since Starbucks is across the street, we decided to buy my third cup of coffee, which I consider to be the best but also the worst decision I made that day. Firstly I love Starbucks and this leads me to buy expensive beverages filled with caffeine, which I strongly approve of...besides the really expensive part. The only problem I had was that some of my family once worked at the museum, and I was trying to tone down the weirdness. Weirdness is good, but I don't think that explaining why Alan Wake* would have been even scarier with squirrels instead of birds, would have been classed as sane at the museum. I slightly feared that they would end up carrying me out on a handmade stretcher, similar to how they transport the Egyptian mummies through the departments. *This, ironically, was in the original Tomb Raider article. I never got bored of it. The session began with the instructors going through the basics of motion capture and they explained that they used it for films such as AVATAR and Beowolf, and video games like Uncharted, before showing us the the suit and how the movements were recorded. The suit that the actor wore consisted of a hat, jacket, and trousers all with the little reflected markers which were connected with Velcro and easily detachable. The area itself was no bigger then a few metres but there was markers on the ground so you know how far you could go. There were eight cameras in the room in fixed points on the ceiling. If you are camera shy, being in the suit and having your motions captured probably wouldn't have been easy, all the cameras pointed at you and there were two huge screens showing what you're currently doing and during my session there were photographs being taken. Normally I am incredibly shy, but I really wanted to do the motion capturing. The screen on the right hand side of the room had a 3D figure walking around on a grid, whereas the left hand side screen showed the final product. I can't tell whether he's pointing or punching that character. Nevertheless, the talk was interesting! We were placed into groups of two and threes, and sent out of the room after choosing from four different museum themed characters and backgrounds we wanted from a list. We then had to come up with a two minute story which our character would star in. One group did a romantic story, another did a horror story, and I was filled with caffeine... Starbucks was perhaps my worst decision of the day. Me and my friend decided that the knight (which was the character we had chosen) called Duncan after returning from battle would do a victory dance, and understandably we received very strange looks from the group that was trying to do the horror story. I then lost a bet with my friend and had to be placed into the mo-cap suit, I didn't mind all that much to be honest. 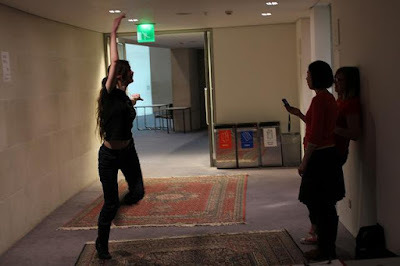 Before recording, we had to show that we were ready, to a complete stranger who was really nice, so I had to dance energetically...for two minutes without a break. After I blamed the coffee and the everyone agreed. We were then lead into the small room in which I had to put on the motion capture suit which was hard work considering that the 2 minute dance had absolutely tired me out (it was very early on a weekend). 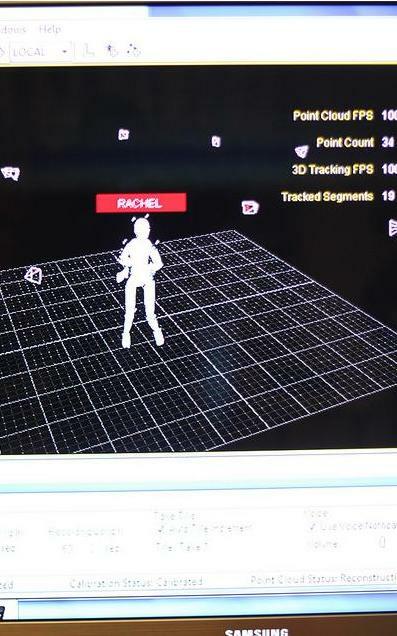 The motion capture suit is extremely hard to take on and off, mainly because everyone put it over their clothes and that day I was wearing jeans underneath, and pretty much all you could see was the 3d model hop around the screen backwards looking very confused as I tried to put everything on. The main difficulty wasn't because it was tight (because it was quite reasonable actually), but I was being very careful not to knock or drop any of the sensors. I was the first person to use the mo-cap since everyone was afraid of breaking it and we were ready first - directly after getting into the suit, I broke everything. At the start I had to preform the T pose for at least fifteen minutes while the computer recognised me and a further ten jumping around the area making sure that one of the reflectors worked. Unlike the Alan Wake actors, I was working with 2D so if I went sideways I would be flat, which was a little strange and took a while to get used to. This was the area where I did the motion capturing. The photograph was during the 25 minutes where I broke everything. Although it wasn't so bad because I got to watch the little 3D character which was pretty awesome. I believe this was near the end when I decided that the best way to get the computer to recognise me was to act like a zombie...I actually wish I was kidding...Also it worked. When we were able to record, the coffee kicked back in and the character ended up exploding randomly at the end since I accidentally stepped outside of the lines. The screen of the final product with the 2D character didn't interest me as much as the one on the right. On the right was a huge monitor which was operated by two computers, that screen showed exactly my actions on a 3D model which was awesome but also kind of off putting when you're doing the recording. My little 3D character on the screen. It's not showing my actions as clearly as it was when I was moving around since this was near the start when the limbs decided to migrate to opposite corners of the screen, but I have my hands on my hips. The levitating cubes on the screen are the cameras located in the room. Afterwards we edited the movie on the computer, added an actual storyline instead of a two minute coffee induced dance, music, and text, and then exporting it using Adobe Premiere Pro. 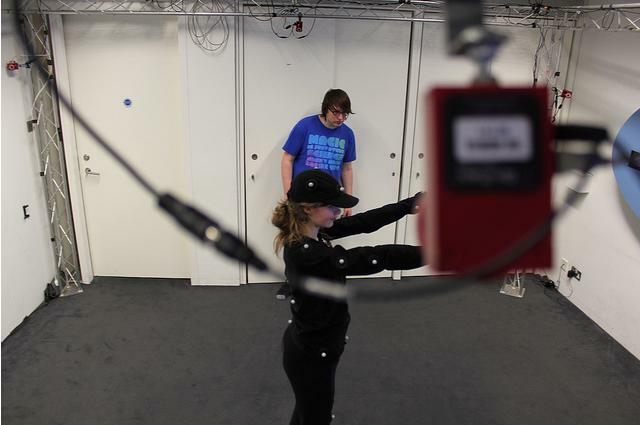 I then also did an interview saying what we done and how was it like in the motion capture suit. I also like to take this moment to mention that coffee doesn't usually have this effect on me, for some reason it's only when I visit Starbucks on a Saturday. Thanks to everyone at the Samsung Digital Discovery Centre for doing the session, I had a really awesome time, and it was a topic that I had an interest in for a while but I didn't really have a chance to do motion capture before this. So thank you for setting up the cameras and being really awesome. 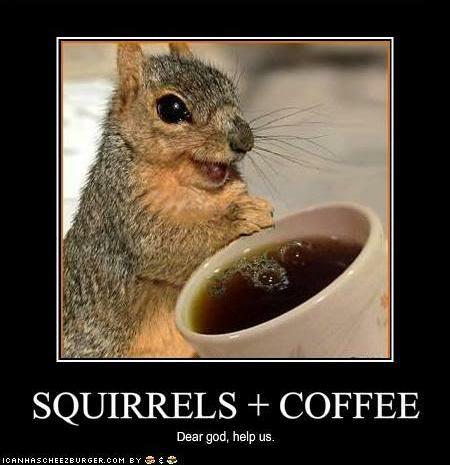 Also Remedy, Squirrels in Alan Wake would be absolutely terrifying. What happens if it steals a Thermos?